Day Away is fortunate to have local artists, poets, and musicians visit frequently to entertain our participants. Recently local musician, Bette Libby was our guest.For many years, Bette taught classroom music in the Newfound Elementary Schools (1975-78, 1982-2008). 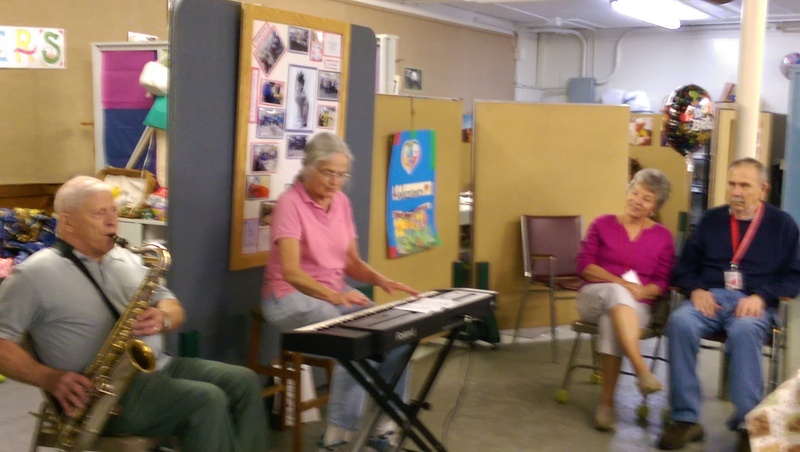 Since retirement from full-time teaching in 2008, she has had time for leading senior sing-alongs, providing church music, and teaching piano lessons. If you would like to share your talent(s) with our program we would love to have you! Contact Fran Olson under our contact tab.